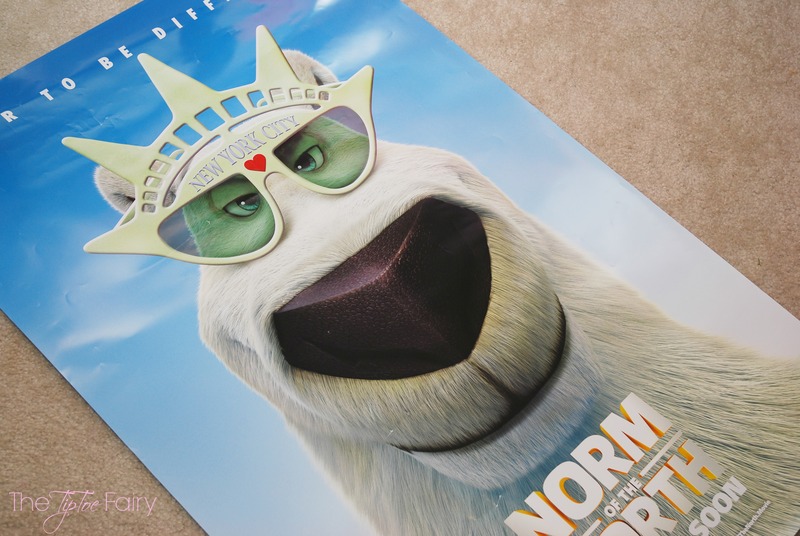 We are totally excited for the new movie Norm of the North coming out this week! 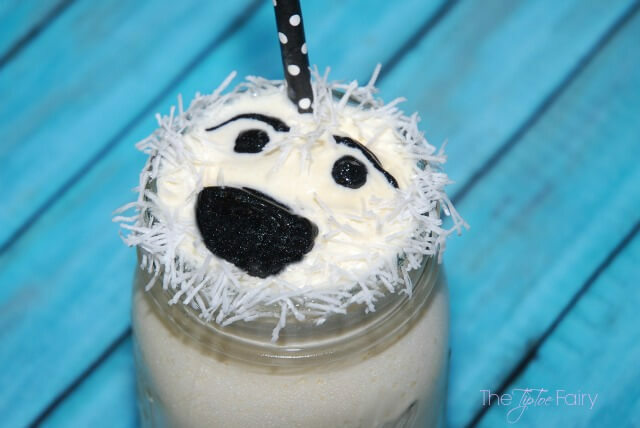 We decided to get our shake on and make an Arctic Polar Bear Milkshake! Are you ready to meet Norm? He’s a lovable, talkative polar bear from the Arctic, and he’s headed to NYC to prevent his home from being overtaken by developers. With a few friends by his side, Norm takes on the Big Apple, big business, and a big identity crisis as he tries to save the day! Change can be difficult for kids when something new seems scary. But, it’s great to take the plunge and reap the rewards when you learn to get out of your comfort zone every once in awhile. My 5 year old just started swimming lessons again after the Christmas break, and this time there is a big challenge. She is learning to swim the entire length of the pool, and it’s scary. There’s been some tears, but this week she was very brave and took that plunge and swam right across with her teacher. To celebrate we’re going to see Norm of the North this week! I think it’s going to really stick with her to see Norm doing something big, too. We put on our matching Norm of the North socks and danced right along! After dancing, it was time for an Arctic Polar Bear Milkshake. We made milkshakes to look like polar bears! I dipped the glasses in candy shreds to look “fuzzy” like a bear. I’m not a huge fan of coconut, so instead of topping our glasses with coconut, I found these awesome white candy shreds. But, if you love coconut, it will work great, too! I dip the very edge of the glass in corn syrup and then in a bowlful of these white candy shreds. 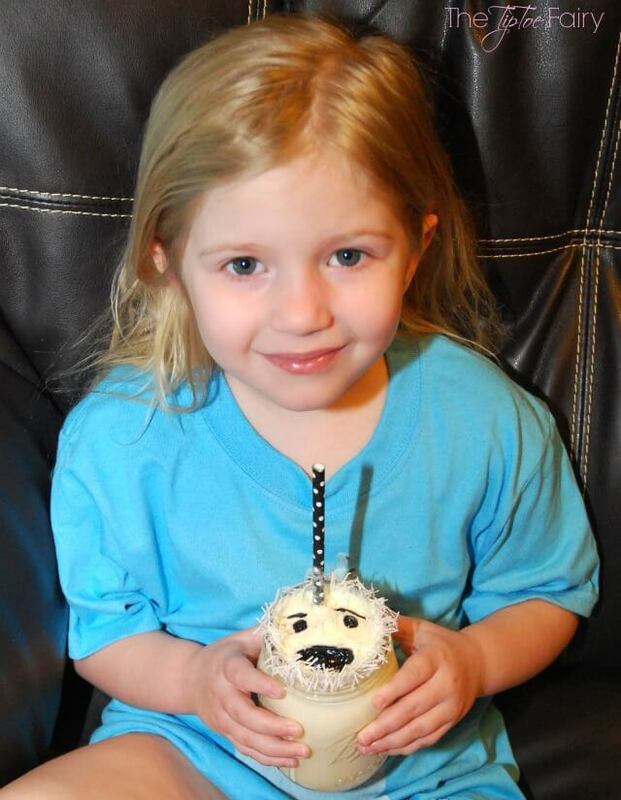 After carefully filling the glass with milkshake, I used black glitter frosting gel to create a polar bear face. Then, I add a few pinches of white candy shreds to add a little fuzziness to the rest of his face. Combine ice cream and whipping cream in the blender and blend until smooth. Pour a tablespoon of corn syrup into a shallow saucer or bowl. Add candy shreds (or coconut) to another shallow saucer or bowl. Gently dip just the top edge of the glass into the corn syrup. Then, gently dip the top edge into the candy shreds (or coconut). Carefully pour the milkshake into the glass, avoiding the edges. When it’s filled to the brim, create a polar bear face. Enter below for your chance to win one of 5 $100 Fandango gift cards to purchase tickets to see Norm of the North in theaters! The contest ends on Monday, January 21, 2015. 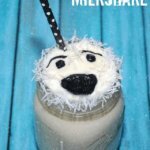 This has to be the cutest shake I’ve ever seen! You always come up with the best stuff. 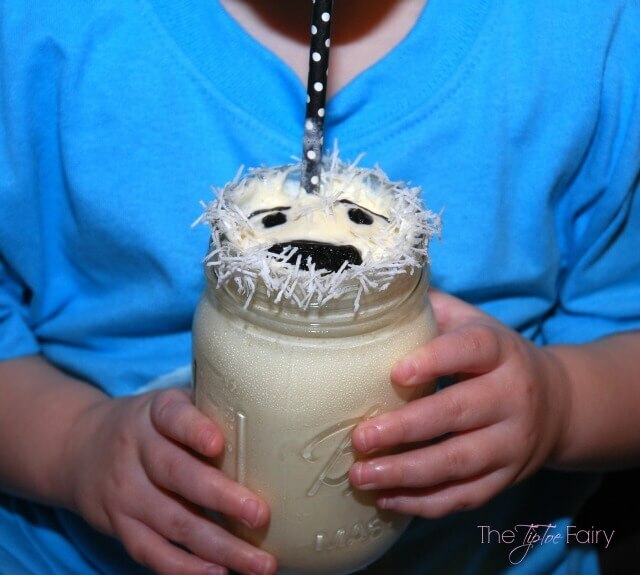 What kid (or adult) wouldn’t love a Polar Bear milkshake? I want one! That shake looks like so much fun to drink! I would never have thought of topping it with candy shreds or coconut, but it really completes the look! Nice job! That has to be the cutest milkshake ever made! Love the presentation, I’m sure your kids went crazy! The milkshake is absolutely adorable! I love the look and that your model is totally enjoying every moment of the tasty treat. The milkshake is an awesome idea and thanks for the recipe but let’s talk about those socks how cool are they? I haven’t heard of Norm of the North movie, but it looks like a perfect family movie and I’m sure my daughter would love it! Your Arctic Polar Pear Milkshake looks so cute and delicious! Love the milkshake! And the socks! So cute. Norm looks like quite the character! Sure the movie will be good. Norm of the North looks like a good animated flick. 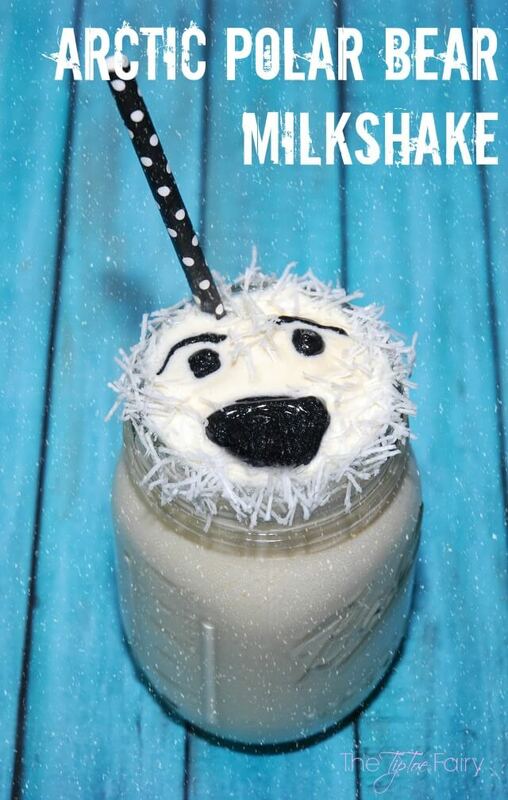 The polar bear milkshake looks really cute. I have never heard of this movie until now but it looks like it will be a hit. The milkshakes are WAY too cute! Awesome idea. That shake is adorable, my little one would love that! 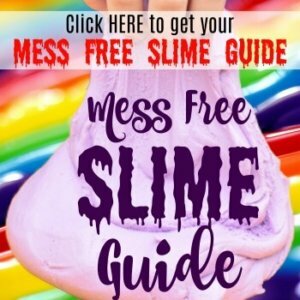 Where do you get the glitter gel frosting from? I’ve never seen it in a grocery store. OMG that is just too cute and I bet will be a huge hit with the kids. You are uber creative! Wow that is awesome. I bet my extremely picky toddler might try a little sip just because he is so cute! How cute is this?! What a brilliant idea…any kid would love this! How stinking adorable and creative! I love this and its uber cute to go with the movie!